Swati then admits that she was paid for this task by Parmeet, who wanted to kill Ishita without getting any blame on himself. She reveals how Parmeet has laid the trap for Ishita to kill her by employing a family member. Simmi will be changing into a positive person, seeing her mother’s dramatic arrest in Ishita’s murder case. Will Raman be able to save Ishita or will this turn out to be Raman and Ishita’s plan to expose Parmeet? 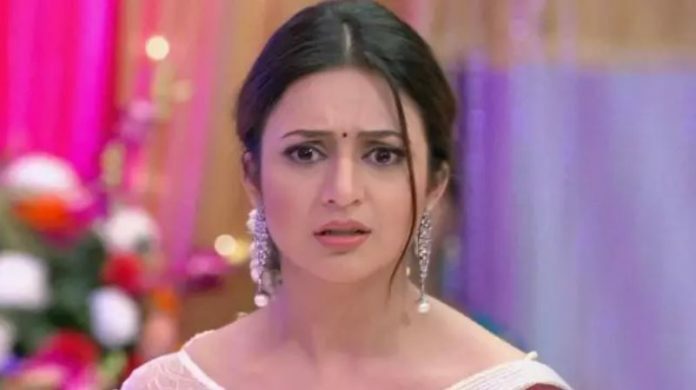 It will be another plan of IshRa to nab Parmeet, since they intend to change Simmi’s mind. Parmeet aims the gun at Simmi and calls her a big fool to support her family, who never loved her. Simmi melts down because of her family. Raman succeeds to change Simmi’s perception about Ishita, and reform her. Parmeet pushes Simmi towards Raman and manages to flee. He tells Raman that he will be back as his revenge didn’t get fulfilled. There will be a new kidnapping drama in the show. Pihu will get kidnapped by some person in clown’s disguise. The clown scares Pihu. Pihu asks him why is he scaring him, when he is a joker and should entertain her. She says clowns are children’s best friends, but you are really bad, you have kidnapped me from my camp this way. She asks the clown isn’t he ashamed. She doesn’t get scared. She tells him that she has believe in her parents, Raman and Ishita, they will come soon and rescue her. Simmi reaches the place to rescue Pihu. Simmi confronts the clown/Parmeet and surprises Pihu. She wants to fight with Parmeet and save Pihu’s life. Simmi asks Parmeet to let Pihu leave with her parents, who have already tracked him. Raman and Ishita reach the place and ask Parmeet to leave Pihu. Parmeet gets Ishita at gun point. Raman says I will not get the police, I will let you go, just spare my daughter and Ishita. Parmeet tries to get away with Pihu. Simmi tells Parmeet that they will go somewhere far from everyone, they have to drop their revenge. Raman bashes up Parmeet, when he doesn’t listen. Raman gets Parmeet arrested, finally, to make him pay for his numerous crimes.